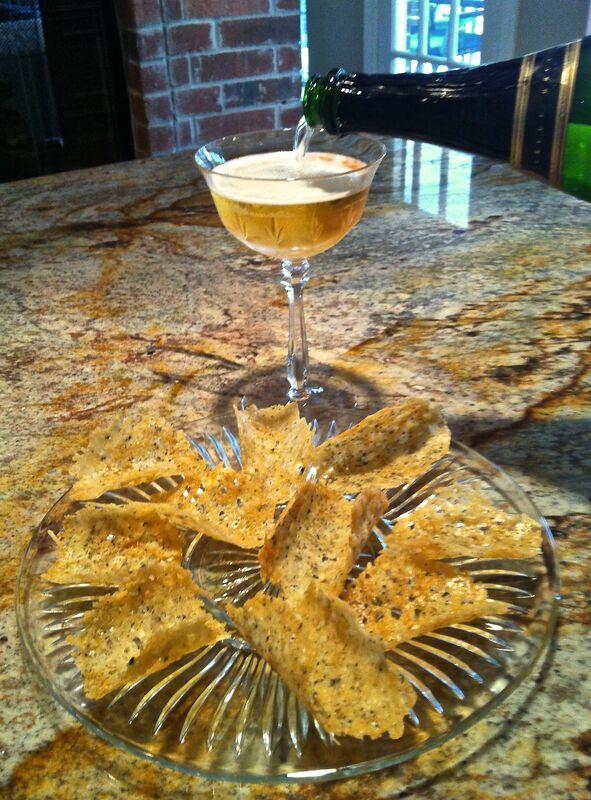 Serve these little curved wafers with sparkling wine. 2. Line a baking sheet with parchment paper. Place 1 Tablespoon of the cheese mixture in a mound, then spread into a 4-inch round. There should be no holes in the round. The lace-work holes will form during baking. Leave a 2-inch space between each round. 3. Place in the oven and bake for 6-8 minutes, until you see the cheese bubbling and getting just bit of color. 4. Remove from the oven and, while they are still hot and pliable, use a spatula to lay each one onto a rolling pin, giving them a curved shape. Allow them to cool, after which they will hold their shape. 5. The fricos will keep for several days in an air-tight container.